Op-Ed Can Turkish publishing tackle the current currency crisis? Turkey will cut value-added tax (VAT) to zero on books, magazines and newspapers in a regulation that Parliament is to discuss next week, President Recep Tayyip Erdoğan said Sunday. The move is aimed at making books and printed media affordable as well as supporting publishers that have been disadvantaged by the digitalization of the industry, Erdoğan said. "The implementation of zero VAT on books and periodic publications will be discussed as part of a law in the parliament and will be extended to (all) publishers and vendors this week," Erdoğan said at the groundbreaking ceremony for the new Atatürk Cultural Center in Istanbul. "There will be no VAT on books, magazines, newspapers anymore." 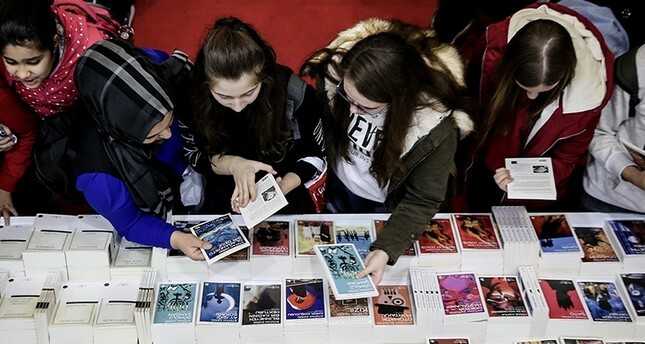 After Erdoğan's announcement, Treasury and Finance Minister Berat Albayrak tweeted that the president had given the "good news," wishing success to Turkey's publishers and youth. Beginning next week, books, magazines and newspapers could be purchased with zero VAT directly from a licensed publisher or the publisher's website. A regular 8 percent tax was imposed on printed media and books bought from bookstores and other vendors.